Super Channel Thrust makes it possible to channel the water and optimize thrust in comparison to other fins of similiar size.The "whale fin" section in the foot pocket allows for greater transmission of power with improved sensitivity when finning. Three different materials bonded together improve performance over the legendary Avanti Quattro.Excellent fin for advanced kicks. 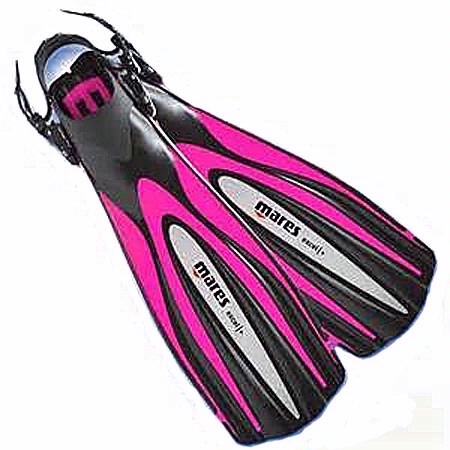 If you overpower split fins, this is the fin for you. ABS (Adjustable Binding System) entry and exit system make this a snap to put on and take off.